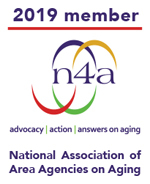 Centralina Area Agency on Aging (AAA) strives to support and enhance the capacity of service and advocacy systems to promote independence, preserve dignity and advocate for the rights of older and disabled adults and their families. The Centralina AAA serves a nine county region and is an “on-the-ground” organization charged with helping vulnerable older adults and people with disabilities live with independence and dignity in their homes and communities. 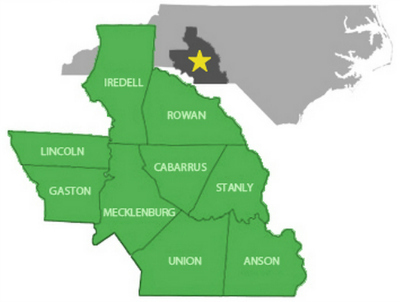 The CAAA serves the counties of Anson, Cabarrus, Gaston, Iredell, Lincoln, Mecklenburg, Rowan, Stanly & Union. We are located at 9815 David Taylor Dr., Charlotte, NC 28262. 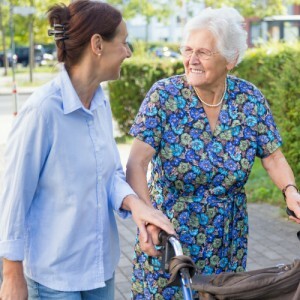 With the enactment of powerful federal legislation known as the Older Americans Act in 1965, Area Agencies on Aging were mandated in every state. In 1971, N.C. Governor Robert W. Scott released an Administrative Directive placing Area Agencies on Aging within the already designated regional planning organizations. Centralina Area Agency on Aging is part of Centralina Council of Governments, one of 17 such lead regional planning organizations. As one of the 16 Area Agencies on Aging in North Carolina our purposes are to Plan, Develop, Coordinate, and Deliver a wide range of long-term services and supports to consumers in the nine county region that take into consideration the local needs and preferences that result in a local delivery system tailored to the community. After getting input from consumers, service providers and other interested stakeholders, the AAA develops an Area Plan outlining needs and proposed recommendations, then updates it every few years to reflect emerging trends. AAAs are also tasked by the OAA to serve as advocates for older adults, enabling the agency’s leaders to engage on local and state issues beyond the programs and services they fund or deliver. AAAs contract with local service providers to deliver many direct services, such as meals, transportation and in-home services. However, most agencies are direct providers of Information and Referral/Assistance, case management, benefits/health insurance counseling and family caregiver support programs. Click here to see list of all AAAs in North Carolina.